I have four biological aunts, and an infinite number of aunties in my life. In South Asian culture — and others, too — aunty is a very specific term of endearment for an older woman who might be part of your extended family, but could also be someone you encounter once at the corner store. Calling a person, even a stranger, 'aunty' is a way of inferring familiarity and respect for members of an extended community. But, whether its age or the pressure to uphold patriarchy, aunties are often dismissed. 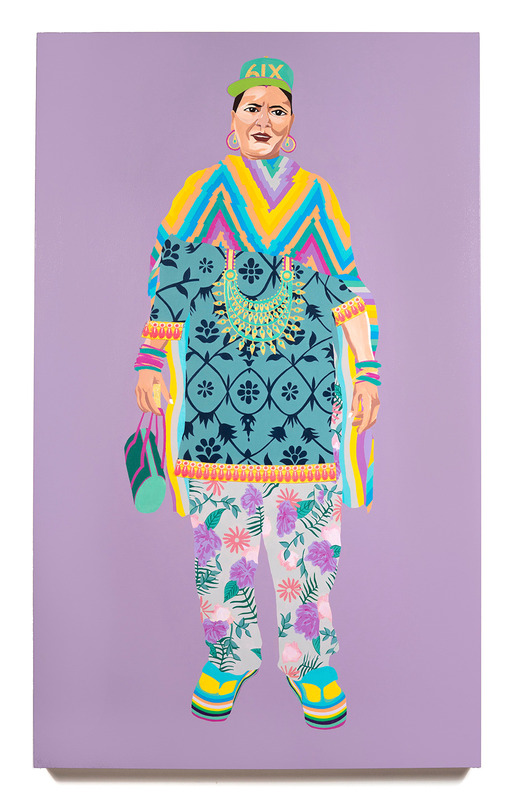 Toronto artist Meera Sethi sees the beauty in aunties. 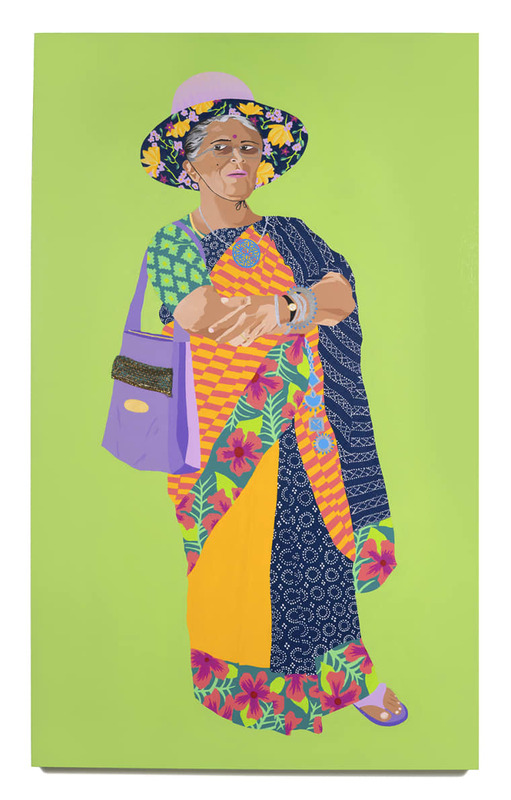 She began documenting them for a street style project, and has now turned some of her photographs into vivid portraits for a series of works on canvas called, Upping The Aunty, on display now in Toronto through July 15. There's even a coloring book version of the project. Meera gave us the lowdown on aunties, and how their style, and their attitudes, can prove to be unexpected sources of strength and even subversion. MEERA SETHI: Aunties in South Asian cultures are ubiquitous. They are part of our lives, yet they are often ridiculed or ignored. 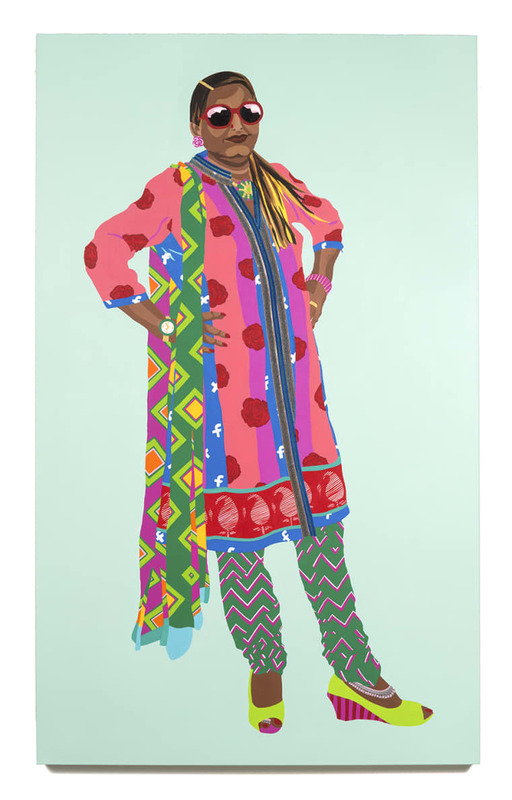 Aunties also have this 'noeffsgiven' sense of style. 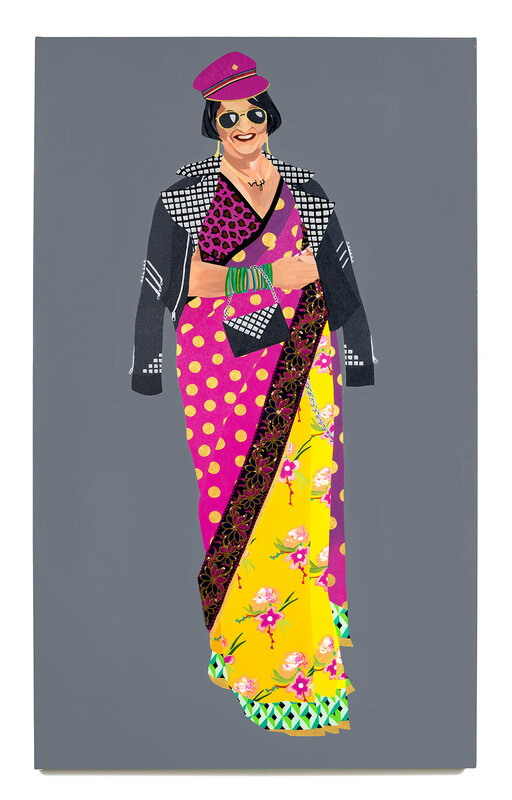 They might select a delicate cotton sari with eight-color embroidery, coordinate it with their jewelry and handbag, and then throw on a pair or New Balance sneakers for comfort. 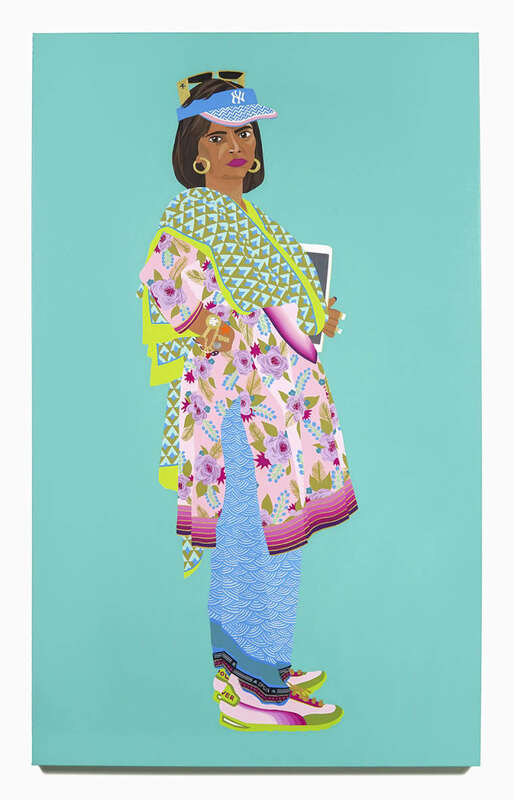 Or, maybe it’s a more flashy look: a pair of tight jeans with Swarovski on the hem, paired with a block-printed kurti and a matching Pashmina shawl slung over one shoulder. That's such an aunty look. Or, sports (or patterned) socks with sandals on a cool summer day. Not just smart, but stylish too. It's a kind of accidental style, and it’s what’s happening on the margins of the runways and fashion blogs that I’m interested in. Desi pop culture has a lot to say about aunties. 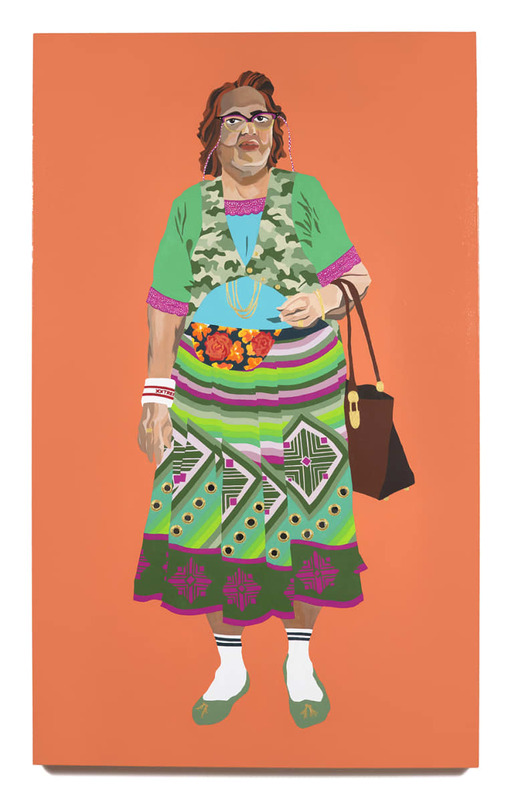 Older brown women, whether they're aunties, mothers, or grandmothers, are often seen as uncool, unattractive, finger-wagging women who set or reinforce social and cultural codes. You know, the ones who say things like, When are you getting married, beta?, or My son is so amazing, he’s in med school earning 100K. What do you do? Some of what they say is problematic too, like shadeist comments about skin tone. We love to hate on them, but the truth is [we can learn a lot from them]: how to tie a sari while directing space programs, or where to get the best eyebrow threading before going on the evening news to slam systems of power and oppression, or how to swish a scotch on the rocks while exchanging nouveau pakora recipes. All these things matter. In some ways, aunties are our femme — and butch — role models. They hold it down every day, and we often forget about their labor, their strength, and their fierceness. I wanted to turn this around and celebrate their swag. In this way, Upping the Aunty is a feminist project. So what is an aunty, really? In South Asian cultures, it's a catchall term of respect for an older woman. This is shared across cultures. These women are part of our extended families or communities. 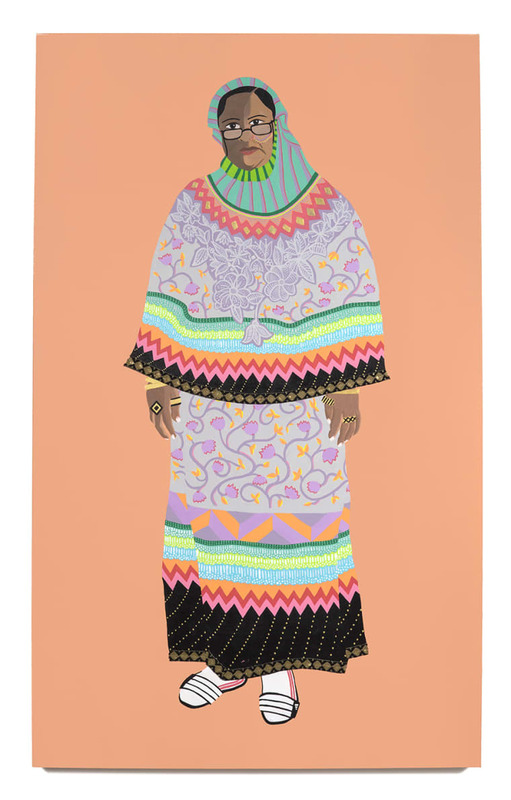 Paying homage to an aunty is, in a way, paying homage to community and this is particularly [crucial] for diasporic folks for whom cultural preservation or continuity is so important — even while it evolves. What we left behind, we recreate with chosen family. 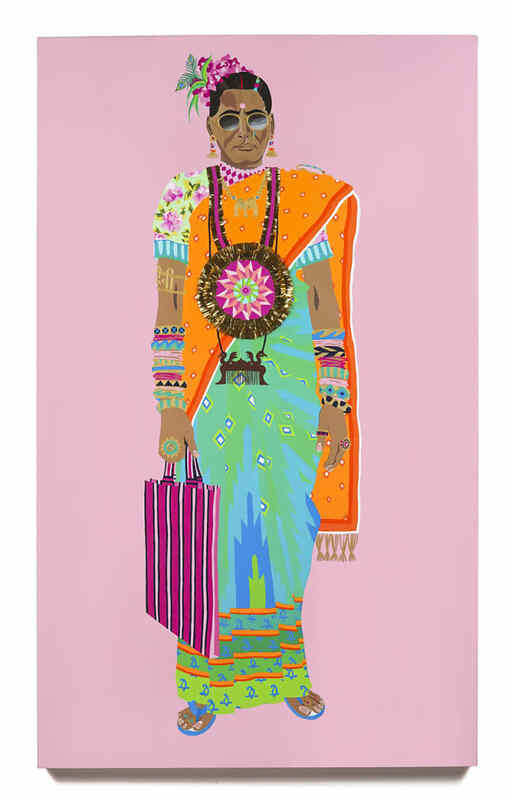 But I can only speak specifically about South Asian culture where aunties are everpresent symbols of survival. And as women’s roles have changed, aunties roles have also changed. We tend to think about aunties in the domestic sphere, but some of the flyest aunties I know are leading huge movements for change or shaking things up in the corporate or creative world. In some ways, aunties are our femme — and butch — role models.